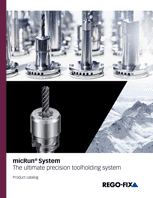 Visionary innovations in toolholding since 1950. Get the latest REGO-FIX news here. When the last SWISS-ordered Boeing 777-300ER leaves the factory in Everett, USA, that's a big deal. The "Triple 7" did not fly to Zurich empty, but was well filled with press, travel agents and customers. Stefan Weber, Vice President of REGO-FIX AG was also on board. Pascal Forrer joined the management team of REGO-FIX AG in Tenniken, Switzerland, on January 1, 2018, assuming the role of Global Sales and Marketing Director. The Associated Builders and Contractors of Indiana/Kentucky (ABC) recently honored Wurster Construction at the Merit Shop Construction Awards Gala for its work on the new REGO-FIX Tool Corporation facility. Sadly it is already over again - the world's most prestigious trade exhibition for the metalworking industry: EMO in Hanover 2017 has closed its doors. Nearly 100 guests, including customers, county and city officials, members of the media and a representative from the Swiss Consulate, joined REGO-FIX principals and REGO-FIX Tool Corporation leadership and employees to celebrate the opening of the company’s new North American Headquarters in Whitestown, Indiana on Friday, May 5th. 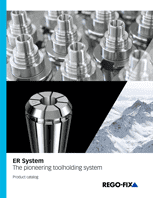 The reCool system directs oil and emulsions directly into the drilling and milling tool. The powRgrip system has impressed in Hagen at A.K. Tek GmbHwith its precision, its positive influence on the tool life and the surface quality achieved.